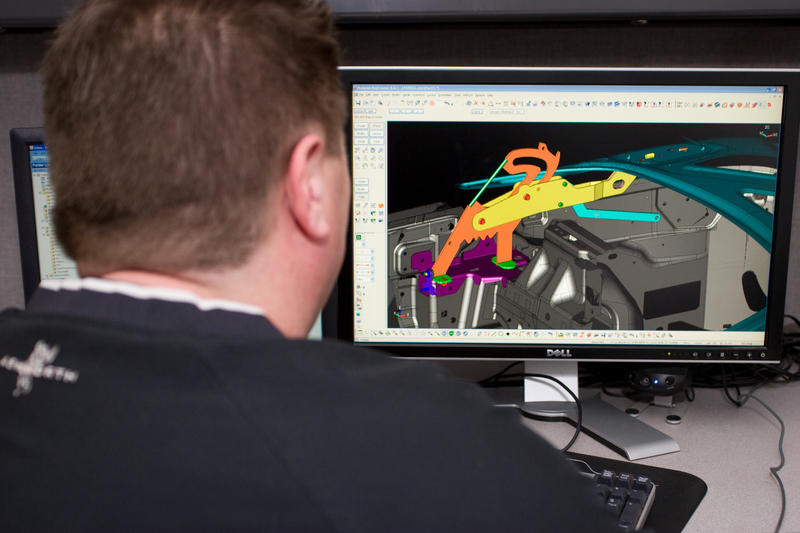 The art of metal forming is a pretty complex and complicated process. 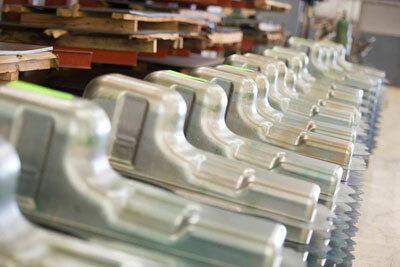 A good working knowledge of the dies used to form sheet metal can be very helpful when discussing your next project. 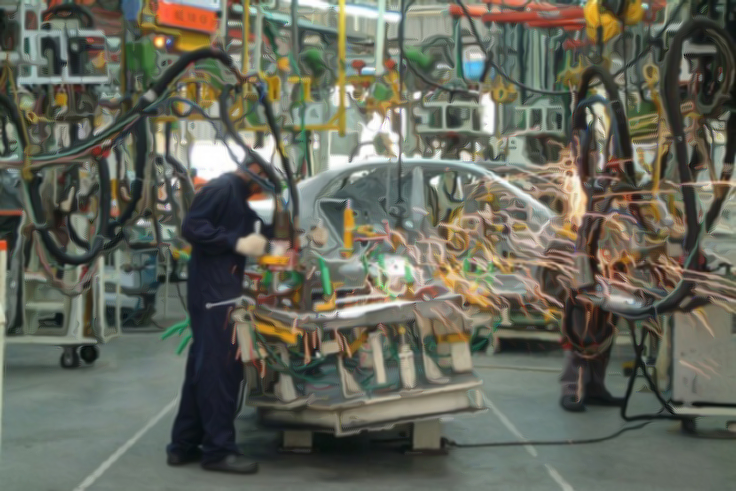 This article is intended to give a high level overview of metal forming, and the dies that used to create small intricate parts all they up to large parts like car roofs and fenders. So what is a stamping die? A stamping die is a dedicated precision fixture that bends, forms, stretches and cuts metal to the desired shape. The die itself is mounted into a machine called a press. Makes sense; the machine presses the metal into shape! There are two basic types of dies; those that cut and those that form. Some do both. Cutting by the way is a loose term used to describe things like shearing, piercing or notches “cut” into the metal during the stamping process. What types of functions are forming dies capable of performing? 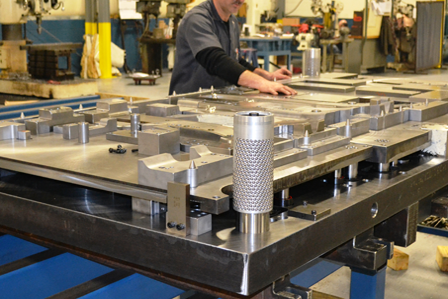 Bending, stretching, flanging, extruding, ironing, coining and drawing to name a few. If you think of a piece of sheet metal like a piece of pie dough, you can pretty much imagine the shapes and things forming dies are capable of creating. Smash your thumb into the dough and what happens? The dough becomes wider and thinner; you have just “coined” your dough. Slip your hand under the dough and slowly poke your finger through; that’s extruding. Lay the dough across a cupcake pan and use an appropriate size glass to force the dough down into cup; that’s drawing. These are very simple examples, but I did warn you at the start this was die basics! When you combine all the various capabilities into one die, some pretty remarkable things can be created! Single station dies: As the name implies, it is die with one single station or operation. 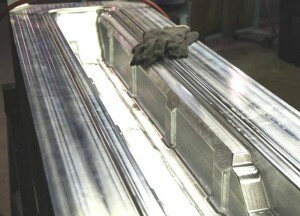 Generally a piece of material called a “Blank” is placed into the die by hand. 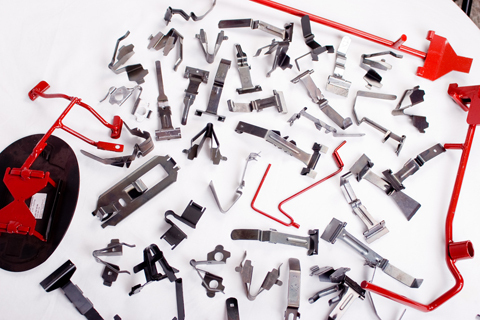 The press cycles, and the part is removed formed or cut or both depending on the need. These types of dies work great for low volume production or prototype work. Progressive dies: These are probably the most common of all dies, capable of making a tremendous amount of parts in a very short period of time. Typically a full coil of steel is fed to the machine, where it is cycled through the die in a prescribed progression. Each progression forms or cuts the steel as the press cycles until it finally reaches the intended shape and is cut free of the master steel coil. Drawing dies: We described in a very basic way, how drawing dies work earlier. Basically, the two halves of the die come together and stretch or draw the material into the die cavity. 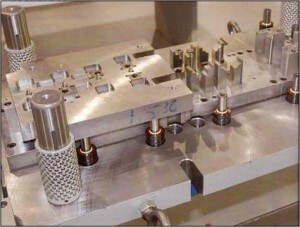 Special pressure plates are needed to regulate the speed at which the material is allowed to be drawn into the cavity. Think of the pie crust example we used earlier; when you push the crust into the cupcake pan, the surrounding crust has a tendency to wrinkle and bunch around the opening. Pressure plates prevent this from happening, so the part is formed smooth as intended. 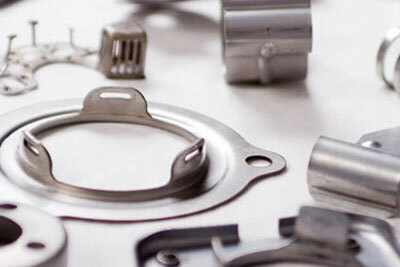 Oil pans, door knobs, cookware are a few of the items that would use a draw die. Line dies: Line dies are bit like single station dies in that one piece is loaded and formed with each press cycle. In the case of line dies, several single operation dies are loaded into the same press side by side or in presses aligned in tandem. 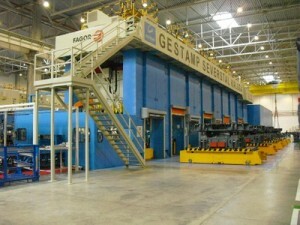 The material is then loaded by hand or robotically and moved to each station in the line. After being moved and formed at the last station in the press, the part is complete. 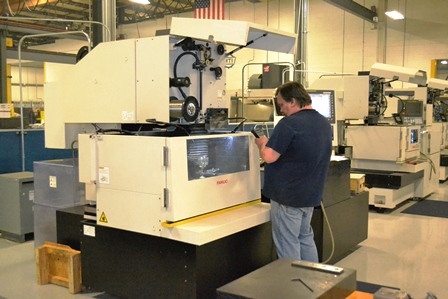 Kirksite dies: Kirksite dies are used in our rapid prototype, and low volume production area (Typically less than 5000 pieces). Kirksite is an alloy comprised primarily of zinc with aluminum and copper additives. 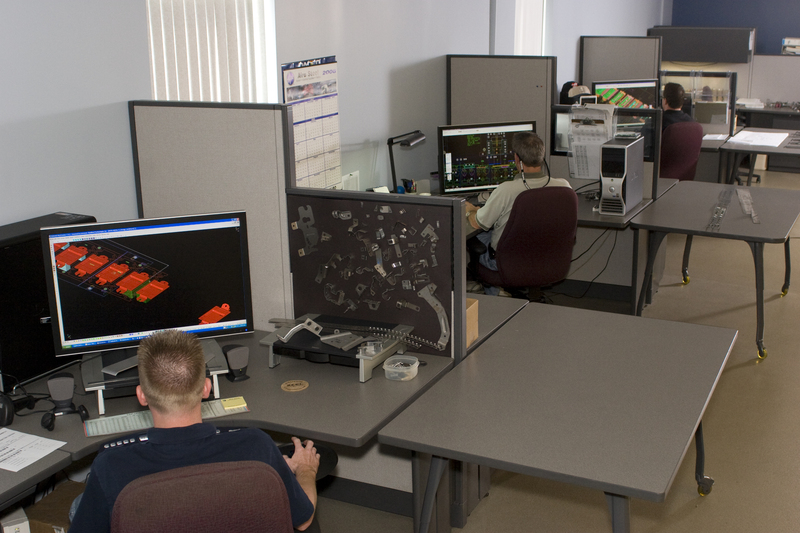 The key advantages of using kirksite to make a die is it’s low melting temperature of 750 degrees. 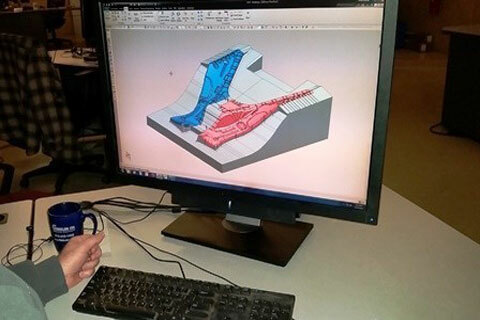 This allow us to make precise casting of the form required, greatly reducing the machining time needed for final design shape. Essentially, the design is carved into a piece of foam with our CNC machinery. 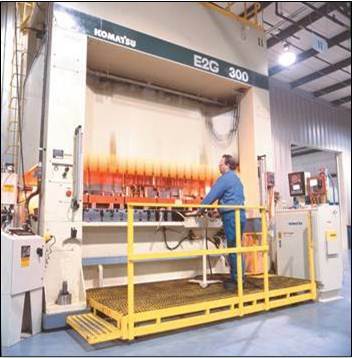 The foam is then used to cast the molten metal to shape. The new casting heads back to the CNC department for final dimensioning. After some detailing and tryout the die is ready to make parts. 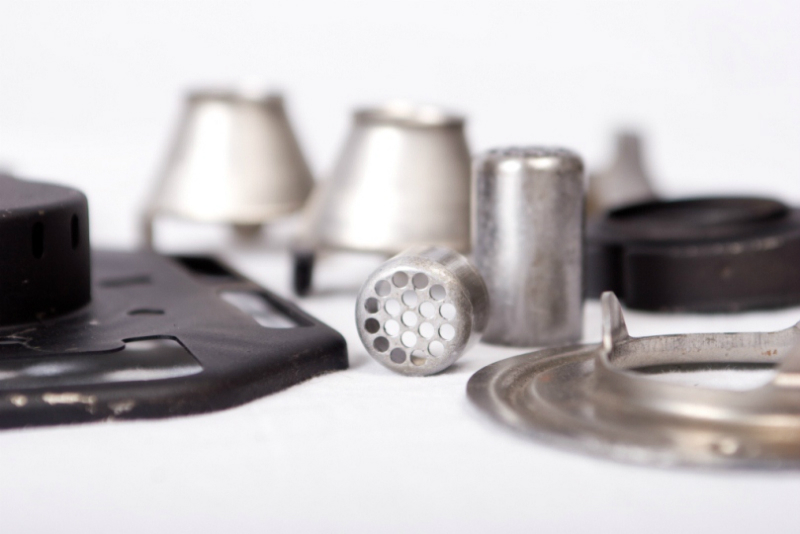 While there are several additional types of dies used, these 5 are good, common examples. If you’d like to learn more about a die we may be working on for your project, please let us know! 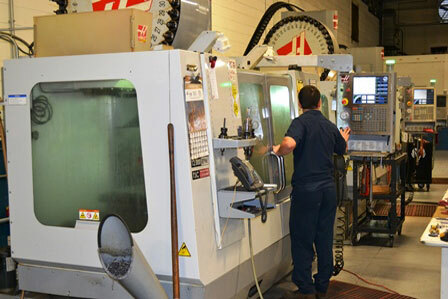 We’d love to give you a tool room tour and show you exactly how your die is being made.